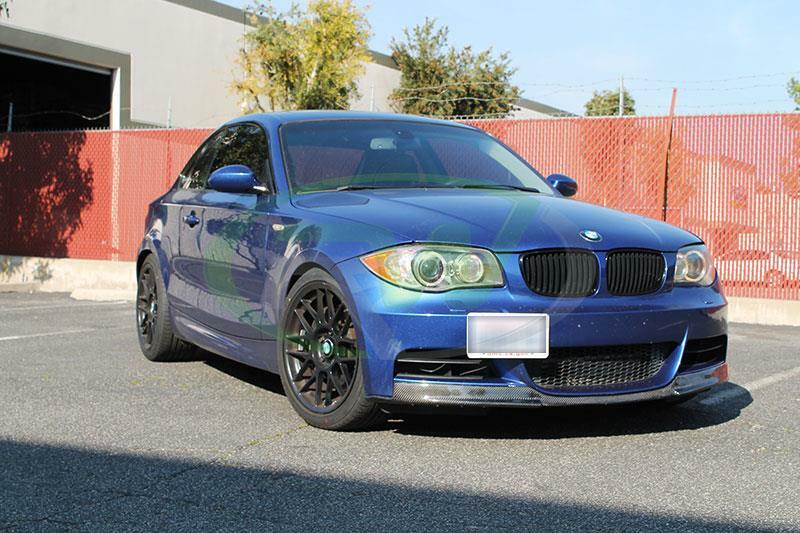 Give your M Tech equipped BMW 1 Series a visual appearance boost, without breaking the bank with this BMW E82/E88 Carbon Fiber Front Lip. 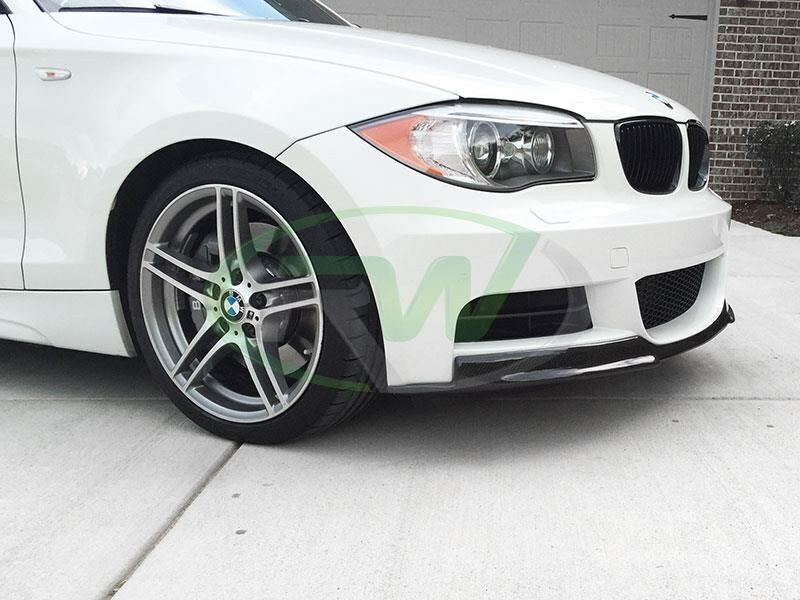 This front lip simply installs on your existing front bumper for that modified appearance that requires no other parts or modifications for installation. 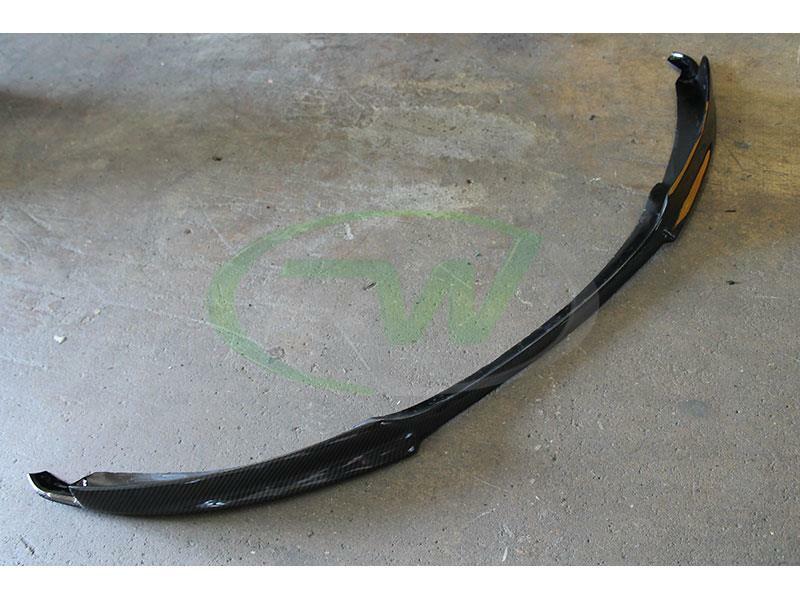 The lip is finished in high quality carbon fiber that perfectly contours to the body lines of your 128i or 135i/is. 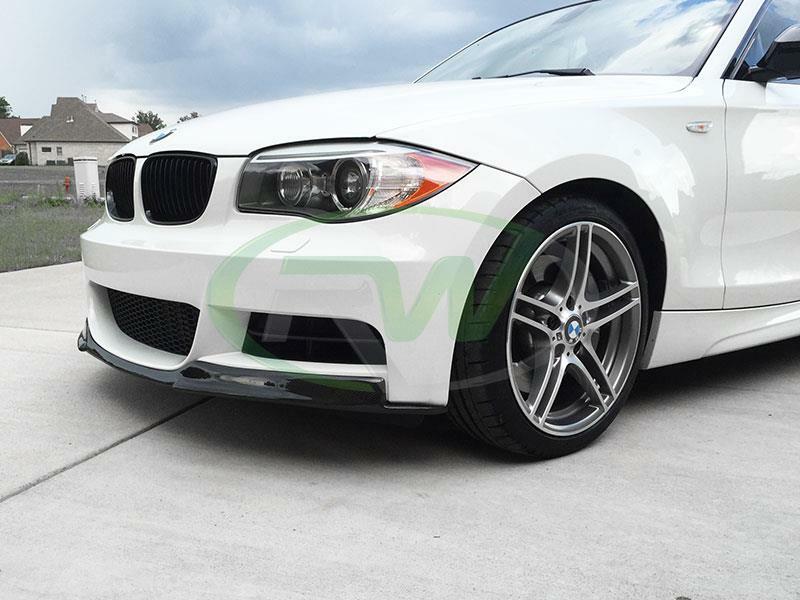 This 1 Series front lip is finished with a clearcoat to minimize potential damage from the sun and road debris. Get a lip that fits perfectly on your vehicle when you order through rwcarbon.com! 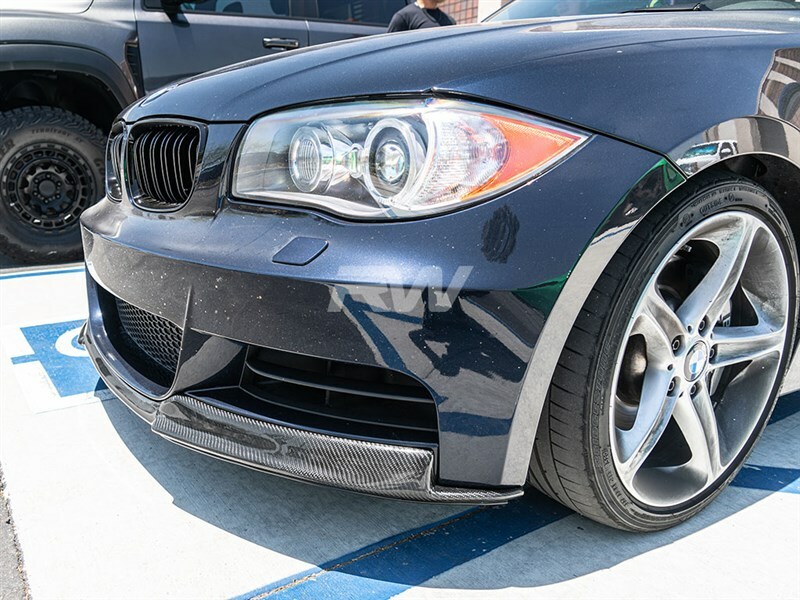 This BMW E82 and E88 1 series front lip spoiler mounts to the car using self taping screws. 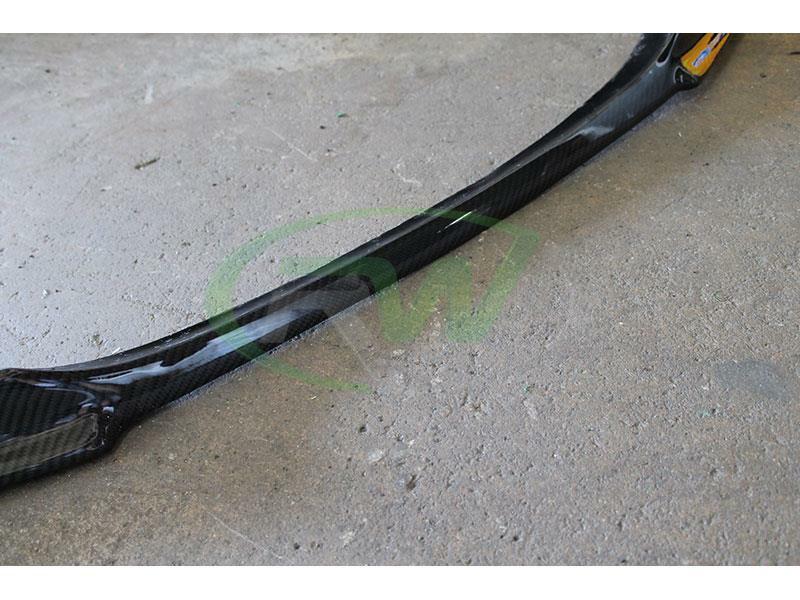 RW Carbon always recommends professional installation. 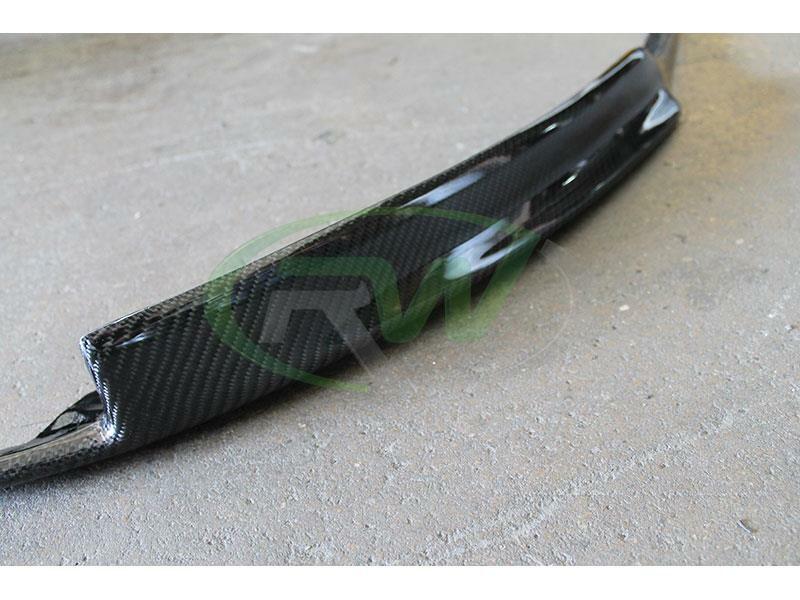 One Goal, One Focus, Carbon Fiber. 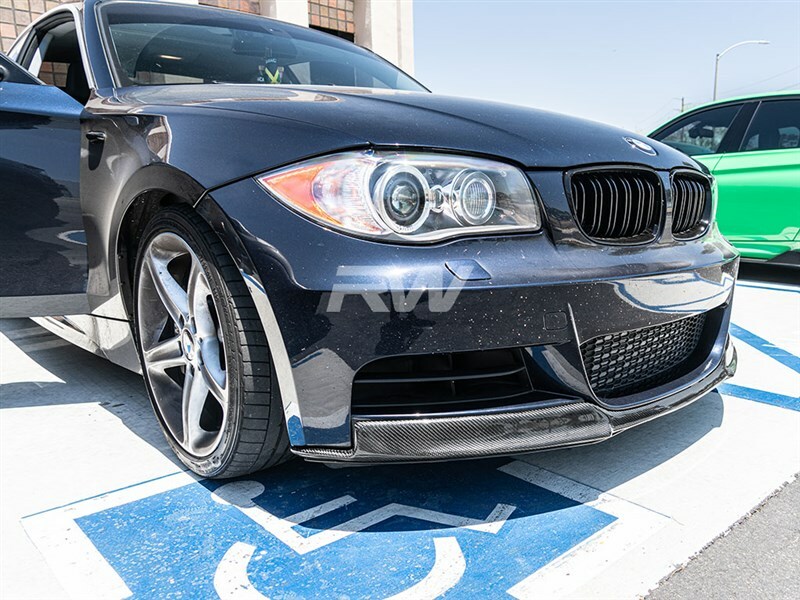 We take our mission very seriously and strive to provide all BMW 1 series owners with top-notch carbon fiber front lips at affordable price-points. Unique to RW Carbon we actually take the time to quality control every product before we ship it out to you. This ensures that you receive a carbon fiber item that you can be proud to put on your vehicle. Many competitors are shipping a product that comes directly from overseas, and has not been quality controlled. If you order one of these parts you could get a product that has scratches, or cracks in it or just does not fit correctly. 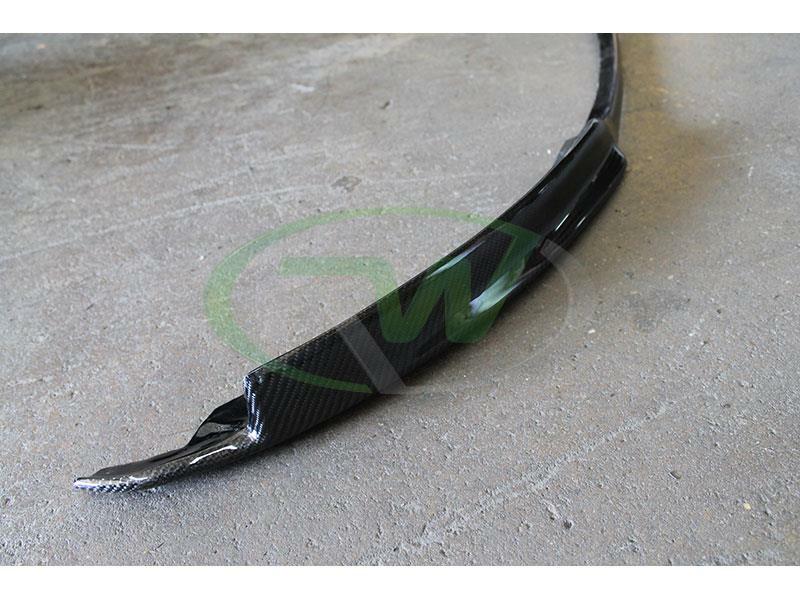 By choosing RW Carbon we make the promise to deliver you a consistent, quality product on time. 5 out of 5, based on 11 user ratings. 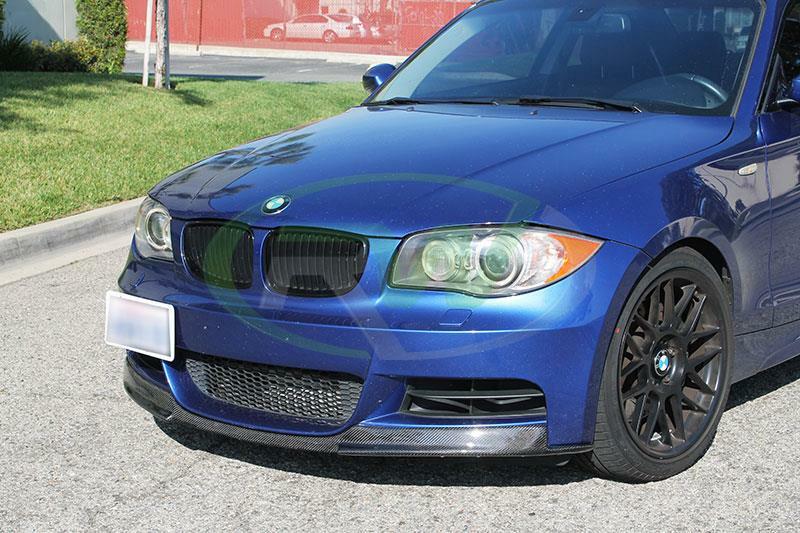 I added this lip to my montego blue 135i (one pictured in the listing). 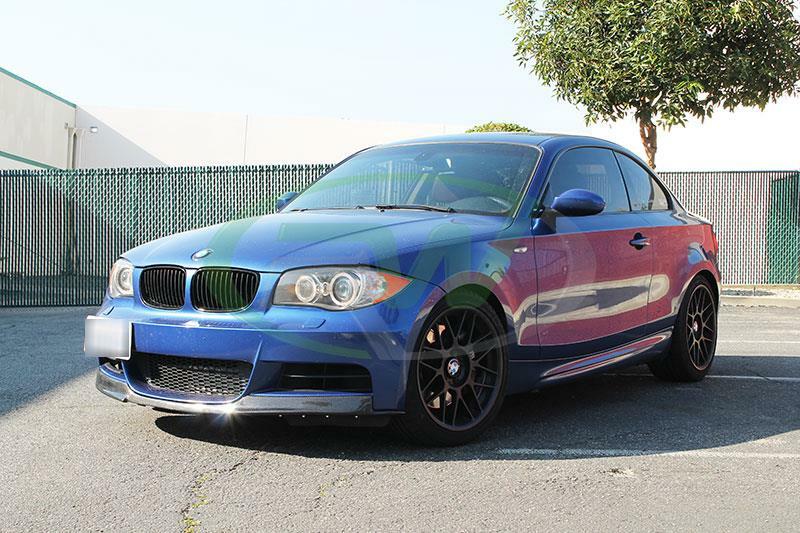 The lip adds the perfect contract on the blue paint and matches the rear spoiler I have on the car. 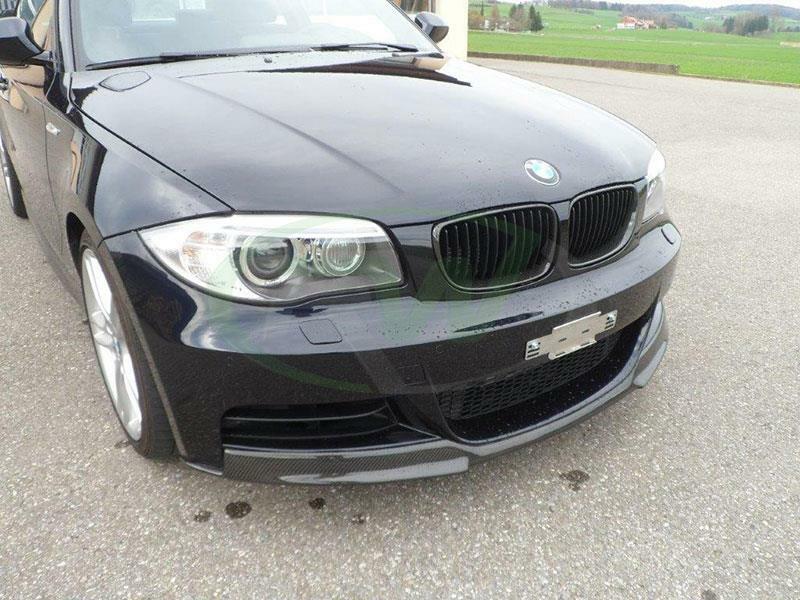 Biggest + of this lip is that it does not affect ground clearance up front. Since installing the lip 2 months ago I have not scraped it at all! 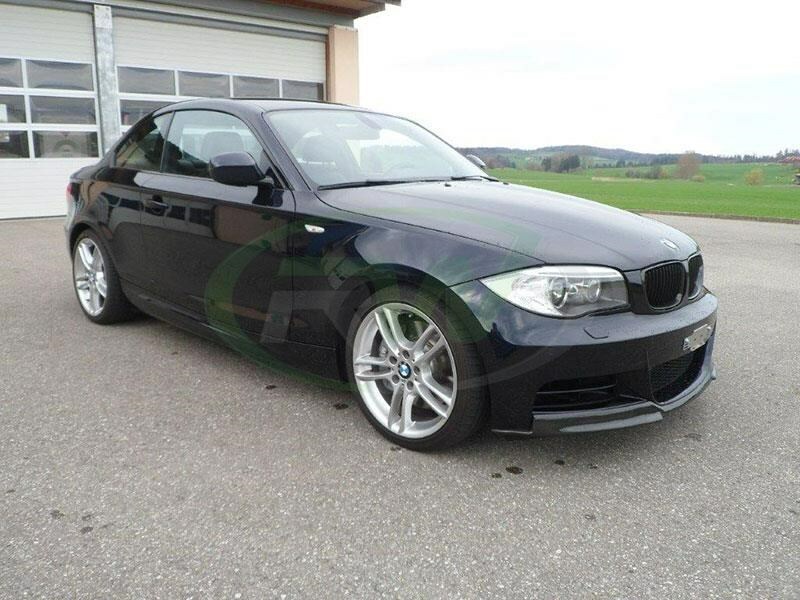 Grab one for your 128i or 135i m tech if you love the carbon as much as I do.